QuickOPC can be characterized as an OPC toolkit. It has, however, some characteristics that make it different from other OPC SDKs on the market. Specifically, it does not expose the imprint of underlying OPC methods to its own API - it does not require you to deal with the low level stuff. And, it transforms the OPC communication into an API that appears to be connection-less; this allows your code be free of all setup, tear-down, and re-connection worries. Download fully functional free trial. QuickOPC is a radically new approach to access OPC data. It is an ideal tool to publish OPC data on the web or integrate OPC connectivity to custom applications involved in industrial automation or process control. QuickOPC gives unbelievably short code to create OPC clients. 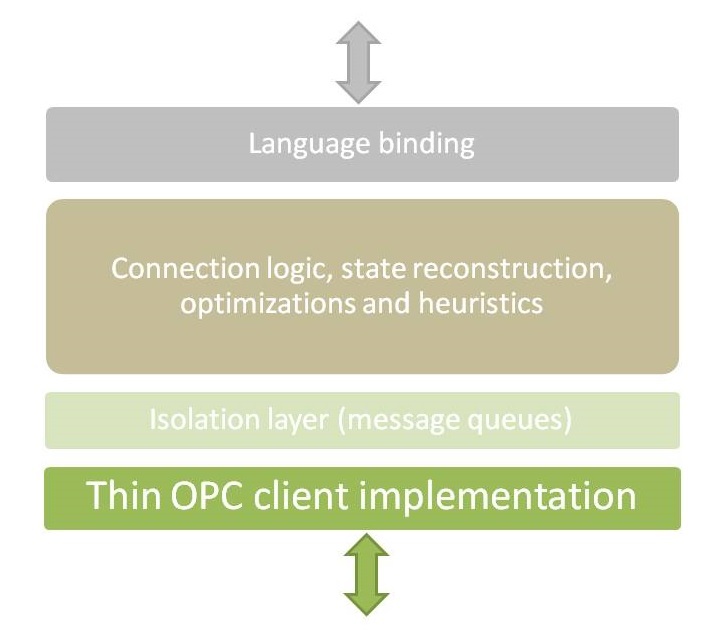 In addition, using complex heuristic algorithms to optimize itself on the fly, QuickOPC toolbox provides the most efficient, fastest access to the OPC data. OPC Labs has successfully tested QuickOPC at OPC Foundation Interoperability Workshops against a large set of OPC Servers from various vendors. QuickOPC has a modular architecture with clear separation of responsibilities. NEW: Support for OPC UA Alarms & Conditions. NEW: NuGet package distribution format. It works in a wide range of programming languages and tools. C# and Visual Basic are the most obvious, but the list is very long. OPC Specifications: QuickOPC supports OPC Data Access 1.0, 2.0 and 3.0, OPC Alarms and Events 1.10 and earlier, OPC XML-DA 1.01, and OPC Unified Architecture (natively, or through UA COM Proxy - included). You can develop on Microsoft Windows in .NET, or with a use of COM-based tools. Read more about the platforms. You can pick from, or combine multiple development models. When developing user interfaces, you can replace or supplement the traditional procedural coding by a codeless Live Binding model. More advanced models such as Live Mapping, or Reactive Programming, are available as well. QuickOPC toolbox is suitable for a wide range of usage areas in process control and industrial automation. For example, developing HMIs, dynamic recipe loading, or customized data loggers, is straightforward. Additional information about compliance testing, logo program and a summary of test results for QuickOPC Client can be found at www.opcfoundation.org.